OnSite Optical carries prescription and designer eyewear and sunglasses for children and adults. We offer the highest quality materials and specialty lenses, including Crizal coating, Varilux and Transitions lenses. We also offer specialty eyewear, such as prescription swim goggles. Download coupon for $30 OFF a purchase of complete pair of prescription eyeglasses! We offer one of the largest selections of pediatric and adult frames in the area. View brands of eyeglasses sold in our optical. We provide prescription and designer sunglasses. View brands of sunglasses sold in our optical. We fit a large variety of contact lenses based on your needs. Order online here with your valid prescription. Why have your eyeglasses prescription filled at OnSite Optical? 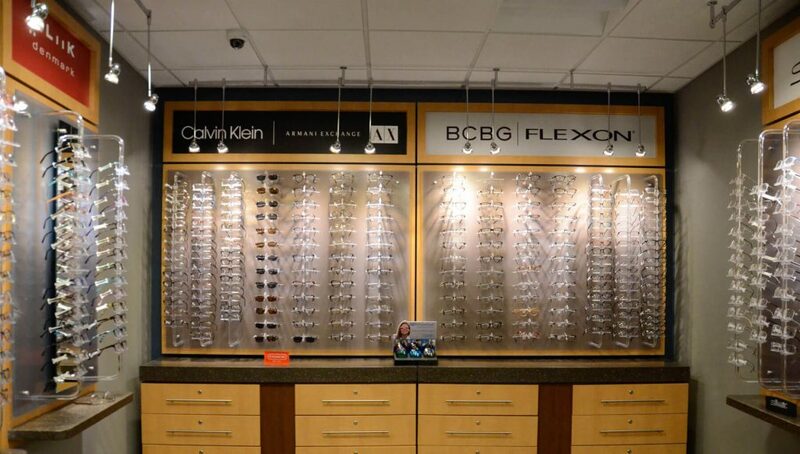 You chose Eye Physicians of Central Florida for the best eye care and in turn, we have chosen the best frames and lenses. Style, quality, and price are important to you, and we provide many options to meet your specific needs. Good value in eyewear is receiving glasses at a fair price. Our fees reflect the quality of products and workmanship, yet they are generally lower than many "discount" or "one-hour" optical centers. Our highly qualified, experienced and caring staff have years of training and provide you with personalized care and service to meet your specific eyeglass needs after your eye exam. We appreciate the confidence you have placed in us, and we will help you select the proper eyewear fashion and explain your lens options so you can choose one that best suits your lifestyle. We work to ensure your comfort and satisfaction. 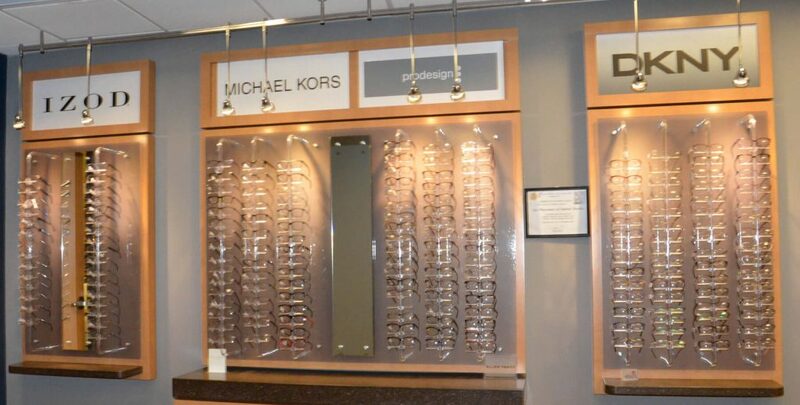 OnSight Optical offers one of the largest selections of pediatric and adult frames in the area. We will help you select the frame shape, size, and color that look best on you. View brands of frames and lenses that we sell. We also offer specialty eyewear, such as prescription swim goggles. Numerous new lens designs and lens measurements can make your glasses thinner, lighter and glare-free. We will take the time to thoroughly explain your options and demonstrate the latest developments to best meet your needs and lifestyle. More information about high-quality lenses that we offer. We guarantee all of our products and workmanship, and our standards and tolerances are set to your exact prescription. We offer an exclusive one-to-two year warranty, depending on the brand, that covers up to three replacements, depending on the brand, on all scratch-protected lenses for breakage or scratching. It also covers up to three replacements, depending on the brand, on frames during that one-two-year period for breakage due to normal wear and tear. 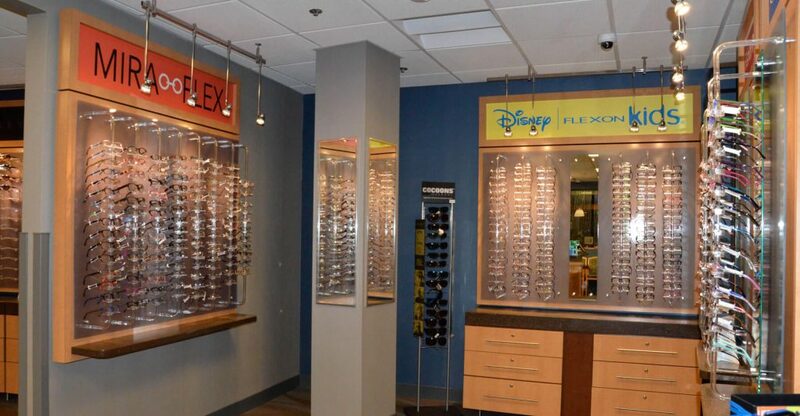 For your convenience, OnSight Optical is located right inside each Eye Physicians of Central Florida office and has the same hours as our medical practice. One-stop shopping for your total eye care needs includes eye exams, check-ups, follow-up care, medical testing, eyeglasses and contact lenses all under one roof. We also accept outside prescriptions.